Wow, not posting since Patrick's Day certainly has its downside. There are so many epic events I missed blogging on, like the author of Don Quixote finally getting buried or Donald Trump ascending to ever greater glory. But the story I most regret not being here for is the death on August 17th of Batgirl -- Yvonne Craig. A lot of comic fans don't realize that the character of Batgirl, today a mainstay of the Batman Universe, was originally created specifically for Ms. Craig. 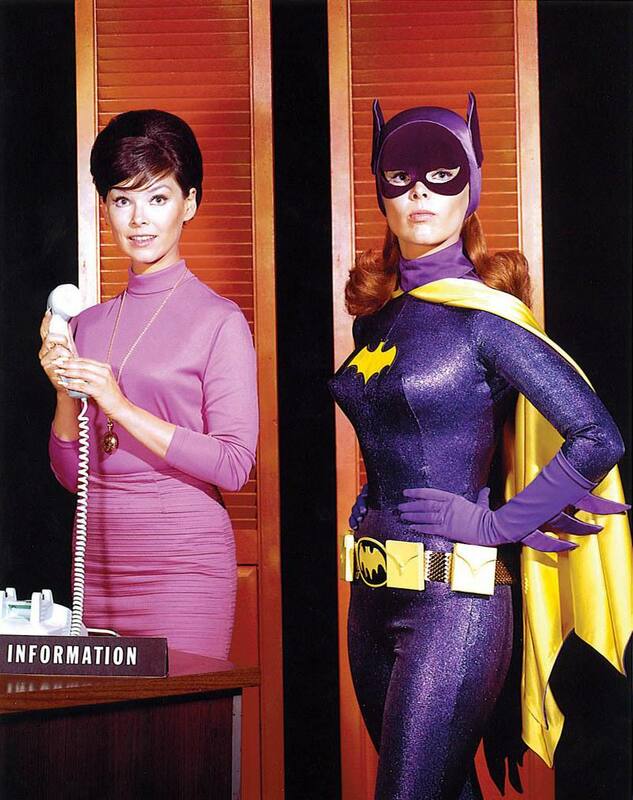 Ratings for the old Batman TV show were slumping after two seasons so the producers and DC comics created Batgirl to add pizzazz to the third. To play "the masked maiden" (and her secret identity, Barbara Gordon) they chose an ex-ballarina who'd played opposite Elvis and James Coburn in the movies. Wearing a skin-tight purple uniform and fetching black mask, Batgirl fought shoulder to shoulder with the "Caped Crusaders." Her graceful-but-deadly kicks and other ballet moves she used in combat made Craig a formidable and highly attractive crimefighter. Although Batman did go belly-up after one more season, Batgirl (the comic character) continued on to the present day, and millions of young boys were left dreaming of Yvonne Craig and her masked alter ego -- me included. I had a gigantic crush on her in Junior High, and while several actresses portrayed the "Dominoed Daredoll" (yeah, the writers back then gave her a lot of odd nicknames) since the 60s, for me she is the one and only Batgirl.